Producer and Presenter of The Smoking Tire, /DRIVE TV, and /DRIVE on NBC Sports. Host of The Smoking Tire Podcast. Driver, adventurer. Matt Farah is a seasoned automotive journalist who is best known for his “every man’s” approach to car reviews and commentary. 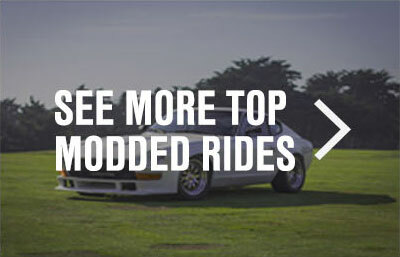 Having driven thousands of different stock and modified vehicles, Matt is uniquely positioned to rate and review the performance of pretty much anything with wheels. After studying photography at the University of Pennsylvania, his draw to the automotive industry and car culture was too strong to resist and soon led him to work at Gotham Dream Cars delivering exotic vehicles to their new owners. That experience inspired him to start a motoring club in New York for luxury vehicle owners who paid $1,000 a year to attend driving events where they could safely experience their high-end machines at their limits. After selling the driving club, he produced opinionated car culture videos under the title Garage419 in which he reviewed performance cars and interviewed key members of the automotive world, such as Craig Lieberman who served as the technical advisor for the films Fast and Furious 1 and 2. This eventually launched his idea for a fully self-produced production company, The Smoking Tire. Here, instead of reviewing brand new production cars like much of the automotive press, the series would take a different approach. 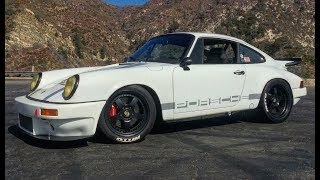 Dropping somewhere between two and four videos each week, Matt films himself driving modified cars owned by regular people who, as car enthusiasts, have put significant time and energy into creating custom built rides that express their personality and meet their individual performance goals. 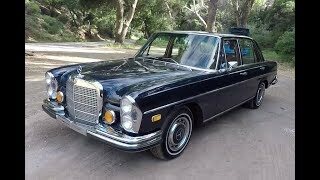 The owners ride along in the passenger seat and answer questions and provide explanations as Matt inquires about modification choices and points out handling characteristics that he likes or sometimes doesn’t care for. 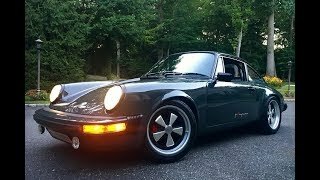 Having now filmed over 400 of these “One Take” videos, so named because of their raw style with little to no editing, these videos are must-watch staples in the automotive community whose popularity has driven The Smoking Tire YouTube channel to currently have over 178 million views and more than 700,000 subscribers. 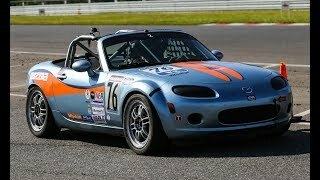 Matt has also proved his love of being a wheel man isn’t just limited to land based vehicles as he recently produced a unique One Take video detailing coastal sailing techniques as he and his TST teammates sailed a Leopard 48 Catamaran in Thailand. The Smoking Tire team is made up of several other diehard gearheads including videographer Tom Morningstar, Director of Photography Thaddeus Brown, producer Chris Hayes and logistical master Zack Klapman. The team also produces a weekly 90-minute podcast recorded in their own Culver City, CA studio covering the car industry, interviewing key guests from the engineering, tuning and automotive entertainment industry. The Smoking Tire podcast is available on the iTunes store and ShoutEngine. Matt has written for numerous online publications including The Drive, and appears regularly in videos produced by his automotive journalist peers, such as the hair raising video produced by the YouTube channel SuperspeedersRob, where to prove the bulletproof capabilities of a Mercedes S600, Matt sat in the driver's seat while a 9mm pistol was fired directly at the window and door of the vehicle. Thankfully the bullet proofing was successful. Matt has personally owned a wide variety of unique vehicles and project cars. He fulfilled a lifelong childhood dream when he took ownership of a 1983 DeLorean DMC-12. He currently has a 1996 Lexus LS 400 dubbed “the million mile Lexus” that has over 900,000 miles on the odometer and is frequently loaned out to friends for long road trips in an attempt to break through the key seven digit milestone. Matt’s most intense project car to-date is another childhood favorite of his, a 1988 Ford Mustang that he’s meticulously rebuilt from the ground up, including new body work and an independent rear suspension conversion. Another Ford included a 2010 Raptor 6.2 and for a size contrast, a 2006 John Cooper Works MINI. For a short time he suffered through a 2001 H1 Hummer Wagon that he stated was “an awful mistake”. While in college he sported a 2002 Mercury Mountaineer which he installed a full home theater including 5 TVs. 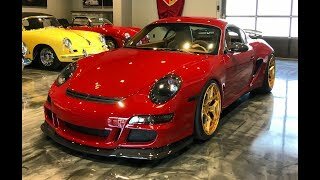 He recently sold his mildly modified 1998 Chevrolet Corvette much to Internet controversy as he was filmed saying he’d never sell the car, later explaining that “life is short and there are so many cars to own”. On the luxury side Matt has a 2003 Aston Martin V12 Vanquish with only 12,000 miles. 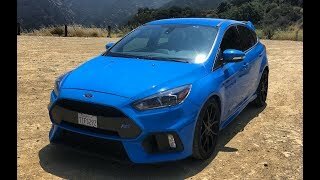 The most recent additions to his stable are a 2016 Ford Focus RS, a hot hatch tuner’s dream and an early 2000’s Mercedes-Benz SL. 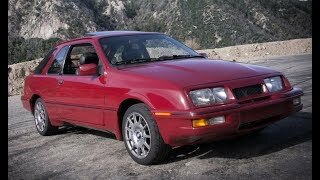 Matt announced recently that he may limit the fan-favorite One Take serious to 500 videos, meaning they could be coming to an end sometime this year, leaving fans to wonder what this automotive icon’s next endeavor will be. 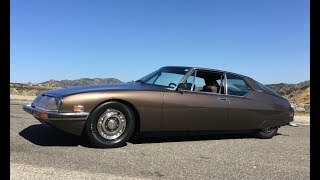 This 1973 Citroen SM is one of the coolest and most interesting vehicles ever made. In the pursuit of the ultimate GT car, Citroen created a stunning, 4-seat coupe body powered by a 3.0L Maserati V6 engine and suspended on a unique hydropneumatic self-leveling and height-adjustable &quot;oil suspension,&quot; for unsurpassed ride quality before, and arguably since. This example has been owned by friend of TST Alex Roy for the past 9 years. Hey Matt, I have a car I know you haven't done, its a near bone stock ultra low mileage(66k kms) 1991 Toyota Soarer 2.5GT-TL. This car is a JDM honey with all sorts of cool toys you just couldn't get in the states, plus its proof of concept that there are tons of amazing cars in Japan ready for sale for next to nothing anybody can import and drive. 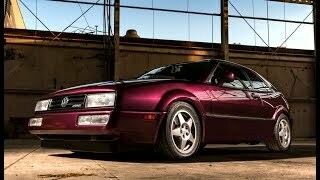 Why buy a crappy used car when for the same money you can have a top notch exotic import? Plus RHD is damn fun. Weird and awesome, I honestly thought the one on BAT was his. 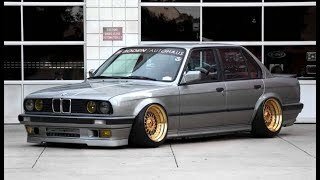 This BMW 325i is just about as modified as a car can be. It features a turbocharged S52 3.2L Inline Six engine making 560 HP and 550 lb/ft at the wheels, a half-cage, customized interior, sound system, and complete Accuair E-Level Suspension. This is certainly one of the most interesting builds we've featured. Check it out on Wheelwell: https://wheelwell.com/garrett-dotson/1n9o/1986-bmw-325! 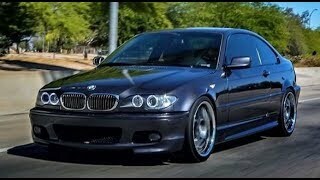 This E46 BMW 330ci ZHP coupe is a clean example of a somewhat underappreciated car. 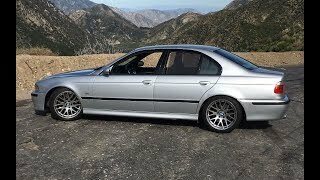 The ZHP package for the E46 3-Series featured 10 extra horsepower, M3-inspired suspension, a subtle body kit, unique wheels, and came in manual transmission only. This one has been modified with the help of a Vortech Centrifugal Supercharger system from ESS Tuning. Check it out on Wheelwell here: https://wheelwell.com/steven-ota/1qby/2005-bmw-3-series! This Rav4 should not be this fun. It would just never occur to you that a Toyota Rav4 would be fun in any way. But with the right wheels and tires, an exhaust, and the right combination of little things, you could honestly surprise a lot of people in Blaze's Rav4. Love mine! Fun little car for commuting and light off roading/camping! 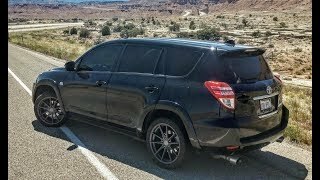 Check it out on Wheelwell here: https://wheelwell.com/blaze-carr/1q7s/2010-toyota-rav4! Aye; Blaze got a One-Take! That's awesome. 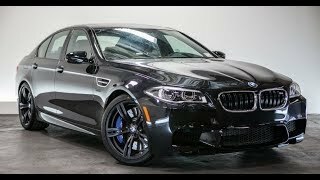 This 2016 BMW M5 with Competition Package is a showroom-stock vehicle that is its owner Kody's daily ride in Los Angeles. Making a conservative 575-horsepower, the newest M5's are highway missiles, easily capable of cracking 200 mph and going deep into the triple-digits on even short sections of straightaway. Is it me or are cars just getting fast for no reason? 630whp seems absurd for a luxury sedan. That's z06 level plwer but for what? Hey Matt, I have a bpm stage 2 m6 running on e85 putting down 700 whp. 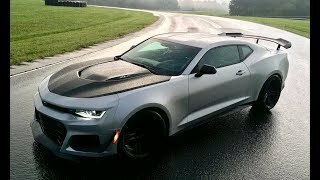 I think it would be great for you to add it on your show as a comparison to what these things can truly do with some power mods. Love that blower sound! Thanks showcasing such a wide variety of cars, Matt. Thanks Matt for doing the video! 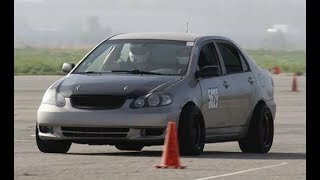 Check it out on Wheelwell here: https://wheelwell.com/matt-davis/1drn/2003-toyota-corolla! Having been slightly disappointed by our last E39 M5, we have another go with this 2001 model. It features a full exhaust, KW Variant 3 coilovers, Dinan ECU software, and a short shifter, providing for a stock-like, but optimized driving experience. 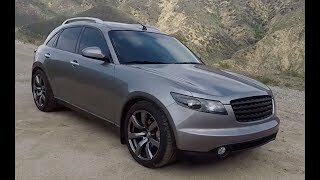 The Infiniti FX35 was one of the first SUV's to really abandon off-road performance and focus strictly on sporty on-road driving dynamics. Raised from the same family as the G35 Sedan, the FX35 features that ubiquitous VQ35 V6 Engine and its unique exhaust tone. This one has been modified with some bolt-on engine parts and an ECU tune, good for a livelier throttle response, and has been lowered on a set of Nissan GTR wheels. I sent you an email bro about your next Dragon run. Cheers. 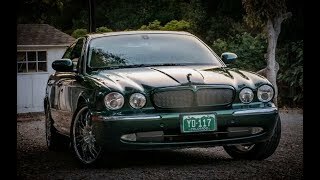 This 2004 Jaguar XJR is a lovely, clean example with over 220,000 miles on it. This &quot;X350&quot; chassis car is made entirely of aluminum for a lightweight feel, and features a 400 horsepower, Supercharged 4.2L V8. For its age and mileage the interior and exterior are in shockingly good, original condition and its enthusiastic owner, Kevin, is a character on his own. 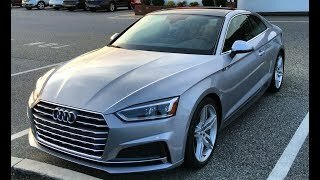 I was an honor to have had my car reviewed with Matt! It was an awesome time. It's pretty wild what can be done to these things. Airport car is possibly the most perfect description and category for this thing. Loved the one take! This Ford Ranger began life as owner Jake's first vehicle, and slowly but surely transformed into the off-road machine you see today. Though the powertrain remains stock (for now), everything else has been modified, with a competition-spec roll cage, extra-long travel shocks, fiberglass, widened body work, a gutted, race-inspired interior, and 37&quot; Off-Road tires. 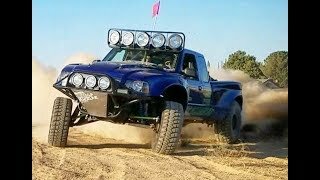 Matt gets to test the truck on dirt trails, deep sand, and high-speed whoops in the Hungry Valley OHV Recreational Area. This second-generation MR2 Turbo is a home brew project by owner Michael, who, in all honesty, just nailed it from every angle. It features a JDM 2.0T engine swap from a later Toyota Caldina, a properly dialed in suspension, and the end result is one of the more spectacular driving vehicles of any age or price point I've driven, really, ever. Love these JDM swaps. The turbo sounds so good in this. I sold a caldina sw20 a few years back. Love my mr2s! Amazing ride and build. Speechless. Love these years. Saw this car at Toyotafest this year. Just superb. 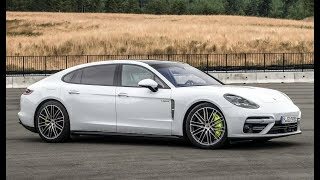 Matt needed more 3S-GTE in his Life! Merkur encyclopedia has a buyers guide. Love mine. Hahaha i had a blast watching this one... my buddy had a scorpio in high school and we beat the living snot out of it. Surprisingly, it was comfy amd quiet inside.... it just moved like a tank! 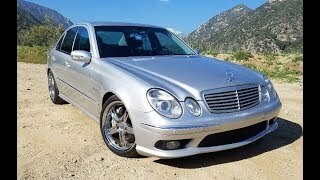 This 2003 Mercedes E55 AMG is the most recent in a long line of German sports sedans owned by Andria, a paraplegic woman who uses hand controls. These E55's are a screaming bargain on the used market, with clean examples to be had well under $20,000 for a 500-horsepower supercharged V8, rear-wheel drive, and German precision and feel. But as Andria tells us, the challenge lies in the maintenance costs. Check it out on Wheelwell: https://wheelwell.com/andria-franco! Looking forward to seeing these on the road! Just stumbled on this video. The exhaust sound is amazing. 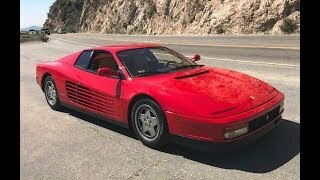 This 1991 Ferrari Testarossa is an incredibly clean, yet well-used example with medium mileage. In stunning Rosso Corsa over tan, the Testarossa was one of the most iconic cars of the 1980's and 90's. Powered by a 4.9L, 390 horsepower flat-12 engine, with dual overhead cams and a dry sump oil system, the Testarossa went underappreciated for a decade until recently. In this video, Matt discovers what a delight a well-sorted TR is to drive today. This is one of those cars that photos never do any justice. Meeting one in person changes a persons perspective. Great One Take! I could feel the good through my monitor on this one. This is a fully restored 1965 Porsche 356C, the final year of the 356. A father/son project, it features a punched-out 1780cc engine, mild outlaw body work, and a rally-inspired interior with fresh hides and rare vintage Tag Heuer rally clocks. 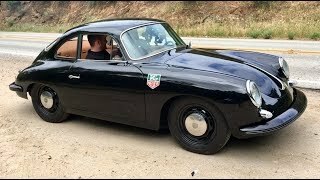 Though it's incredibly slow, Matt's first drive ever in a 356 reveals that you can easily feel Porsche's entire lineage and where the modern 911 came from when driving one of these old classics. 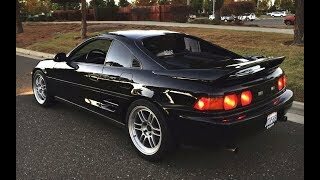 This Toyota MR2 Spyder has a stock powertrain, but has been modified with every single JDM accessory available in order to make it look as close to the JDM model as possible, but without converting to right hand drive. 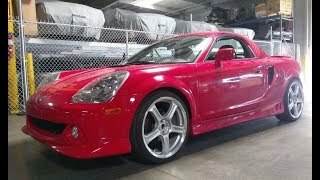 With a 1.8L 1ZZ engine and a primitive sequential manual transmission, the MR2 is an oddity in the sports car world, but is light, tossable, and fun in its own unique way. Beautiful Colour, yes, Colour, that's how we Canadians spell it eh? !